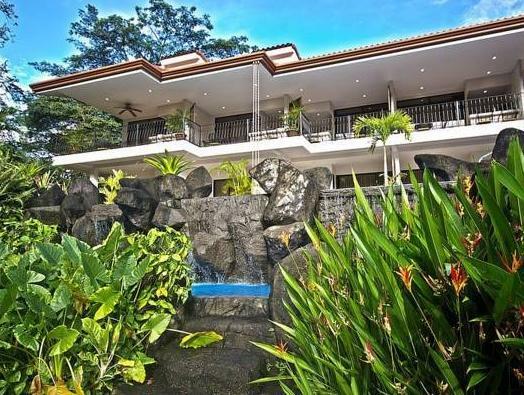 ﻿ Book Hotel Pumilio (Jaco) - 2019 PRICES FROM $128! Amid a natural garden, this hotel has free Wi-Fi connection, terraces, gardens, and barbecue facilities. 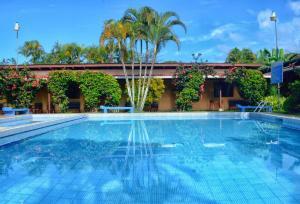 Hotel Pumilio offers its guests an outdoor pool, jetted tub, and spa facilities on site. Featuring a modern décor, the rooms have LCD cable TVs, equipped kitchens, coffee makers and private bathrooms with shower and free toiletries. The breakfast is included with the rate. Only 4 km from Hotel Pumilio is located Jacó, where guests may find food and entertainment options. "Gourmet Adventures" is a special menu available on site that includes the menus of different restaurants at the guest service. Some of the popular activities that can be practiced while staying at Hotel Pumilio are rafting, kayaking, surfing and visiting Tortuga Island and the Arenal Volcano. Juan Santamaría International Airport is 1 hour and 15 minutes’ drive away. Jacó Beach and Herradura Beach are 3 minutes' drive away.